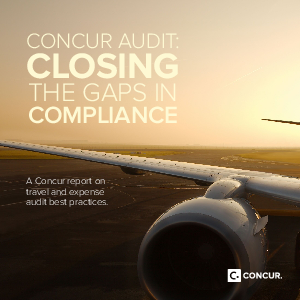 Concur’s Audit services provide a thorough, objective, third-party review without office politics or a strain on internal resources. Businesses have saved time and money by redirecting those resources into other valuable activities, while turning audits around efficiently and accurately. Visit concur.co.uk/expense-audit or call Features outlined in this report may differ between Standard 01628 645100 to learn more.